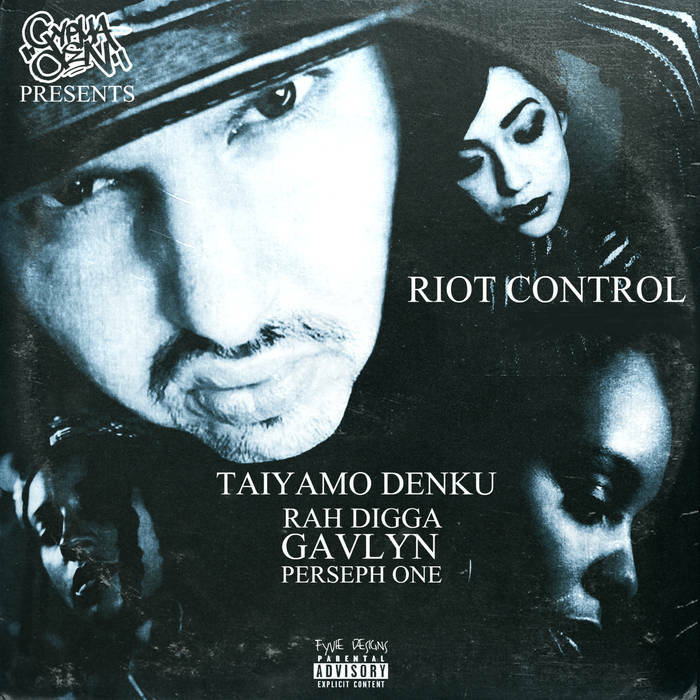 Taiyamo Denku the Milwaukee native emcee teams up with Milwaukee producer Jihad Baracus to give you the original mix of "Riot Control" which features the likes of Flipmode/Outsidaz first lady Rah Digga. The ever so popular west coast rhymer Gavlyn and Kansas City's own Perseph One. This song is to jump off Denku's most recent maxi single release of Riot Control. The song Riot control Jihad brings in heavy drums from the jump which Denku devours. Rah Digga follows the hard spoken hook and by the time the Classic voice of Rah Digga stops rhyming she makes sure you know she is here. " When Things get outta hand ya'll come get the pioneer" Rah Digga gives you nothing less then what you would expect from the heavy barred lyricist from New Jersey. After another heavy hook Gavlyn with her unique style and voice comes in establishing the fact she is rhyming with her idol. She then persists to do what she is known for doing and that is using her great delivery and flow to make you listen to what she is saying. We then get to hear original Ces Cru member Perseph One make her mark and end the track with strong lyrics and a style that wont make you forget her. New England Turntablist and 1200 hobos member Shortrock ends the track with cuts that play into the Jihad baracus production canvas very well. This gives you "Riot Control"